Linda Burton posting from Salt Lake City, Utah – Sit down on the bench and close your eyes. Hear the children laughing, the sound of water splashing near. And a bee, a lazy buzzing bumblebee. The sun is warm; stay all afternoon. 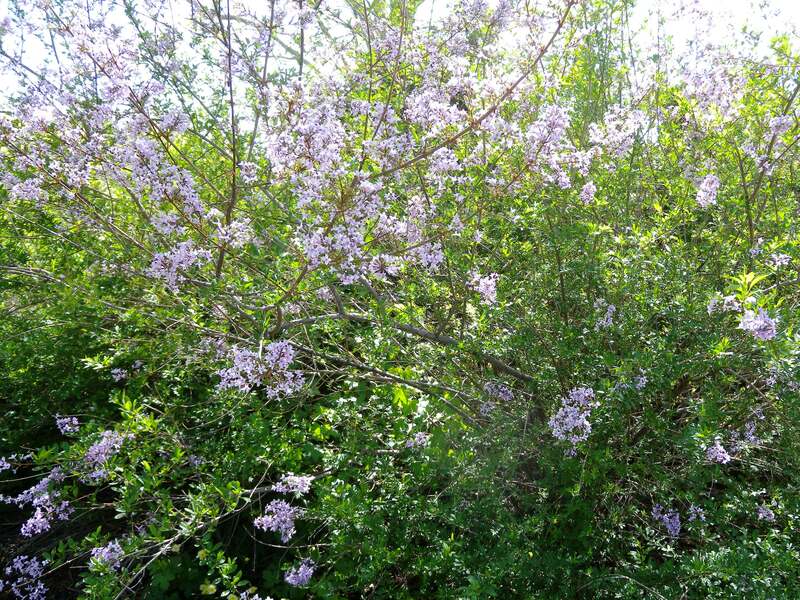 Inhale; take a deep, deep breath; smell the smell of spring. Wisteria takes the lead, but there’s another sweetness in the air. Where is that splashing water? Where are those children? 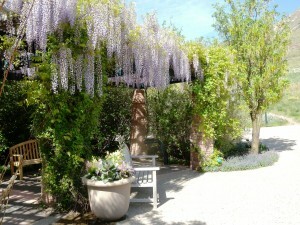 Pass under the arbor; wisteria clusters brush your shoulder; leave their scent. 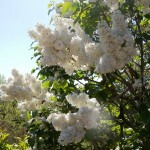 Flowers fill the May-day scene in crayola-brilliant landscaped beds; snowballs on bushes go sprawling up the hill. Where is that splashing water? 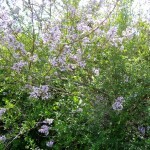 Leave the Fragrance Garden; take the path through the Medicinal Garden, it’s marked on your map; the Herb Garden is next. Your senses touch a memory as you move from place to place; does something smell like Grandma’s house? Gently winding up the hill you come upon the water; a whimsical deer-shaped shrub watches your approach. 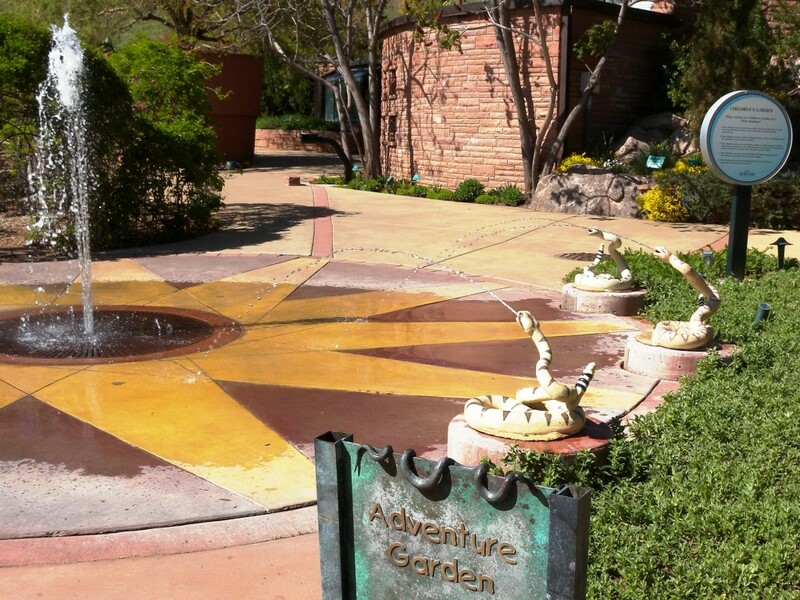 It’s the children’s Adventure Garden, where playful snakes are waterspouts, just what a kid would like. 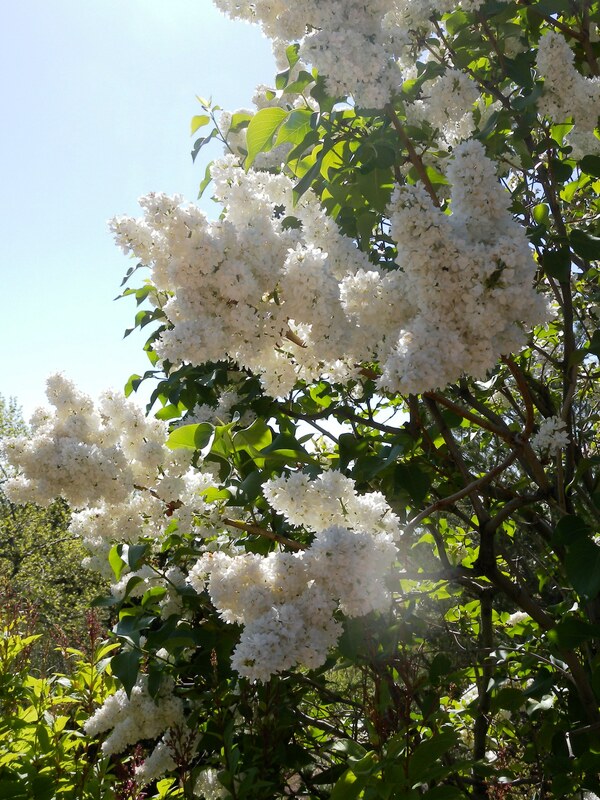 You smell lilacs now; here mothers chat while children scoot like squirrels through tunnels made of swirling vines. Is this a fairyland? A fantasy? 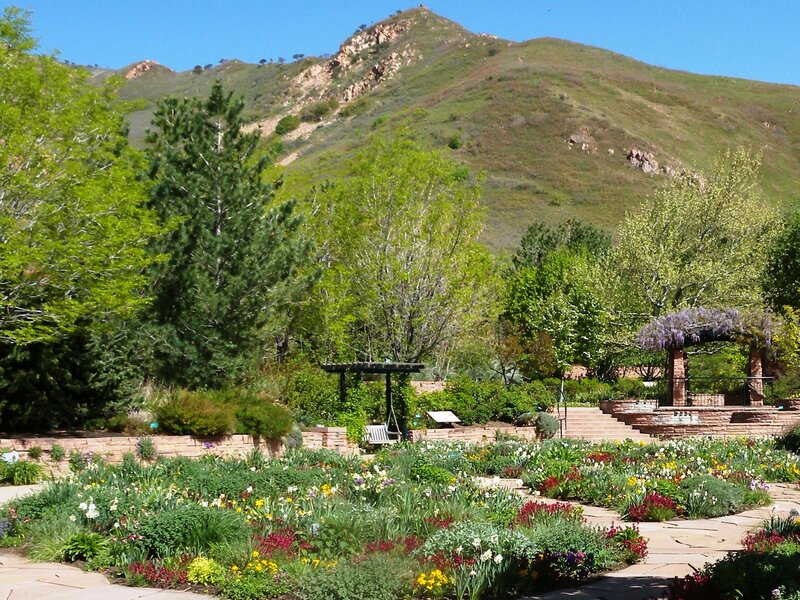 No, it’s absolutely real; it’s Red Butte Garden, Utah’s Botanical Garden, and part of the University of Utah. More than 100 acres are used for testing, displaying, and interpreting regional horticulture here, but it’s open for your pleasure and enrichment too. It offers formal gardens, walking paths, and natural areas with hiking trails that go clear up the mountain. There is a 430-foot elevation gain; from the Visitor Center hike to Canyon Overlook at 5,470 feet. Or walk to Quarry House for history; at one time over 34 stone quarries operated in Red Butte Canyon; the house was built in the 1930’s by the CCC and used for surfacing stone. 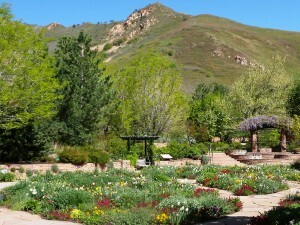 There’s a wildflower meadow at Red Butte Garden, and a wedding lawn; a rose garden and an amphitheatre; upper, middle and lower ponds sporting a pavilion, and a waterfall garden. And oh yes, a magnificent view of the city down below and a hundred-mile valley beyond. Come for classes, workshops, and concerts; bring the kids for a garden scavenger hunt; buy plants for your own garden. Or just come to sit on a bench, and smell the flowers.